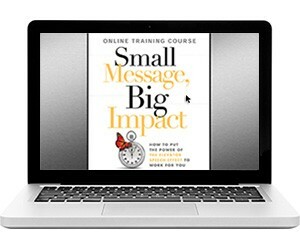 In this e-learning course, Terri shares the content from her book, Small Message, Big Impact in an easy to view online webinar-like format. 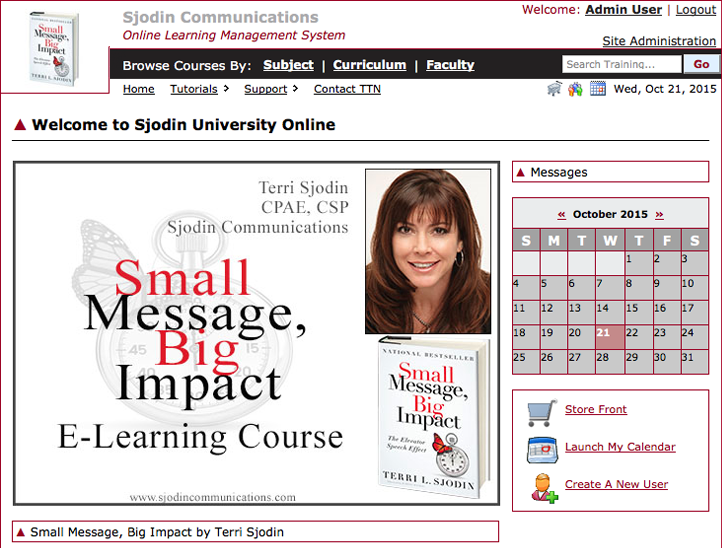 There are 10 sessions in the course which can be taken at your own pace. 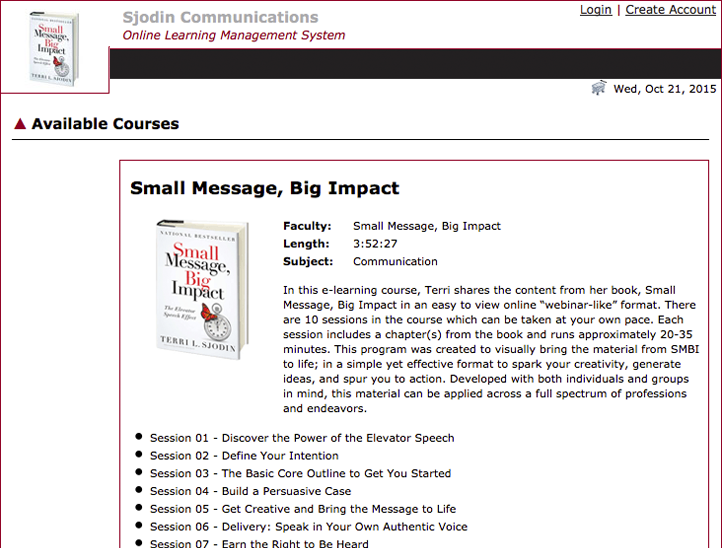 Each session includes a chapter(s) from the book and runs approximately 20-35 minutes. This program was created to visually bring the material from SMBI to life; in a simple yet effective format to spark your creativity, generate ideas, and spur you to action. Developed with both individuals and groups in mind, this material can be applied across a full spectrum of professions and endeavors. This program is powered by Brainier Solutions, Inc.
To learn more about corporate group registrations and volume discount pricing (10+ registrations,) please contact Sjodin Communications directly at (949) 723-3132. For technical support and questions regarding your registration, please contact Brainier Solutions at (800) 279-2222.